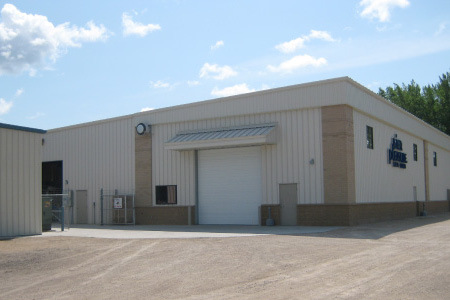 This project was a 44’ x 200’ metal manufacturing building addition to the existing warehouse space. 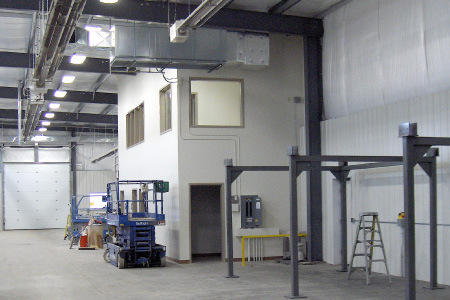 During this project Langemeier Architects worked closely with the owner developing the manufacturing space and office support areas. The disciplines involved were civil, architectural, structural and MEP respectively. This project was an invitation to bid with three general contractors invited. 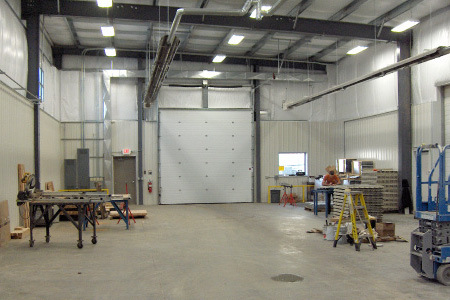 During the schematic phase of the design project; the design team reviewed adding offices within the addition. An actual model was constructed to assist the client in visualizing the space. 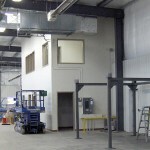 The final design included a small mezzanine area for a conference and office room. 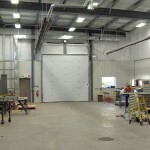 The remaining 44’ x 200’ was kept for fabrication.